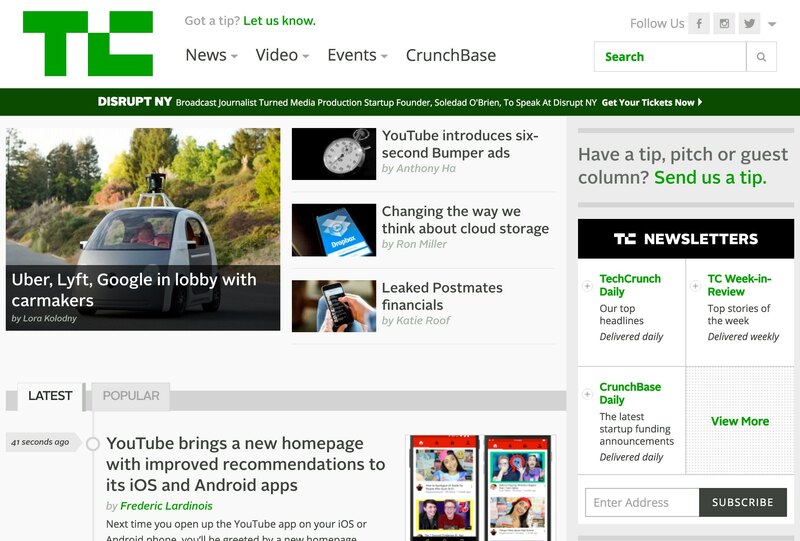 Since its founding in 2005, TechCrunch has become the leading source for technology news. Today the website attracts tens of thousands of visitors on a daily basis, with hundreds of new articles being published each week. As TechCrunch underwent rapid growth, they found that their native WordPress search was unable to handle inbound traffic or serve accurate results for searches across their massive content library. Ease of implementation, low maintenance solution, real-time indexing. Soon after getting started, TechCrunch realized that their native WordPress search could not handle their quickly growing content library. Searches yielded irrelevant results or none at all, so they switched to one of the more popular search providers on the market. This helped, but left one major problem: their search engine would quickly go out of date as they continued to add new content to their site. What TechCrunch needed was a Site Search solution that could handle their size and traffic, while also staying up to date as they continued to expand their content offerings. TechCrunch is primarily an editorial organization, meaning their small staff of engineers needs to be highly strategic with their time. After learning about Swiftype’s WordPress plugin, they were thrilled—implementing a new search engine would only take a couple days, not months. More importantly, Swiftype’s plugin ensured that search results would always reflect the live offerings on the site. Before using Swiftype, weak search was a problem for the TechCrunch writers themselves. After installing Swiftype, search results improved dramatically, and the TechCrunch staff immediately noticed the difference. These results payed off for readers too, as the TechCrunch staff noticed their search volume increase by 30%, which caused a noticeable increase in overall website page views, in the first month after launch. In addition, TechCrunch saw their search exit rate decrease by nearly 50%, meaning their search results began to match user expectations and dramatically increased conversion rates. Aside from the tremendous performance improvements Swiftype brought to TechCrunch’s search, Swiftype’s user friendly dashboard allows any member of the TechCrunch team to customize results when they want to highlight specific content. This is particularly helpful in the lead up to TechCrunch’s annual Disrupt conference, as it allows the TechCrunch staff to feature promotional content and drive more publicity around the event. Engadget increased pageviews and time on site by unifying their multiple web properties under a unified search experience.